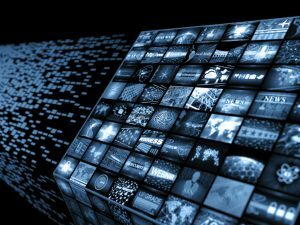 A new report by consultancy firm Juniper indicates that the digital video and television sector will worth approximately $119.2 billion by 2022 having grown from a figure of $64 billion recorded last year. The sector includes heavy hitters such as Amazon and Netflix. Most of the growth in over-the-top television services will be witnessed in Western Europe and North America with the Far East and China following closely behind. About 33.5% of the revenues in the sector will be generated in the Americas while Europe will generate approximately 31.7% of the revenues. The budgets of digital television players are expected to dwarf those of pay television firms. Netflix’s budget for original content is for instance expected to be more than $7.5 billion per its latest earnings report. Last year HBO, a subsidiary of Time Warner and maker of Game of Thrones, spent approximately $2.5 billion on original content. Relatively new entrants, Apple and Facebook, disclosed last year that they intended to spend approximately $1 billion each on original content. The report also found out that in the run up to 2022 the cord-cutting phenomenon will be driven by consumers turning to digital services. “Throughout the period, subscription video-on-demand will gain ground, not only because of new service launches across the globe, but also due to a consumer switch to the idea of ‘skinny bundles’, or slimmed down packages …” stated the report by Juniper. With regards to online video advertising by 2022 the segment is expected to have grown by 130% to reach a figure of $37 billion. Last year the amounts that were spent in online video advertising were approximately $16 billion. The number of online video consumers is expected to reach a figure of 4.5 billion across the globe. The report comes in the wake of Netflix releasing its financial results for the latest quarter which saw the online streaming giant add more than 23 million new subscribers last year in 2016 Netflix had added 19 million subscribers while in 2015 it was 17.4 million subscribers. While the total number of subscribers was 93.8 million at the close of 2016, Netflix ended last year with 117.6 million subscribers. Across the globe Netflix’s year-over-year growth rate with regards to international subscribers was 29%. A year earlier the figure was 22%. Besides growing the number of subscribers, the amount of time that members are spending consuming content on the platform also increased by 9% last year.